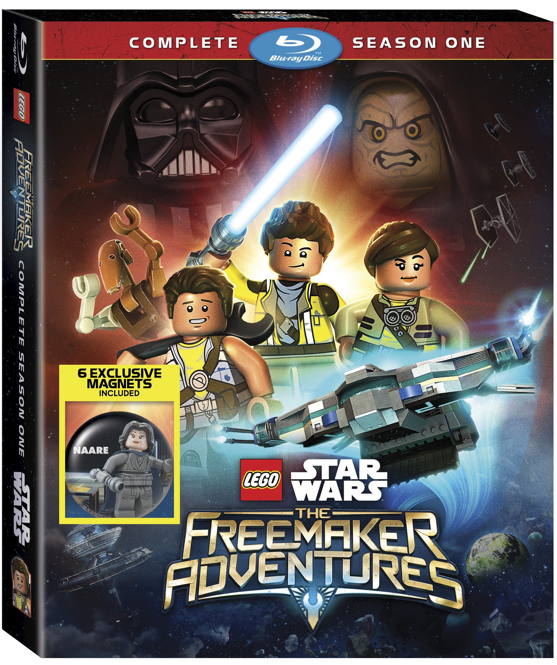 Lucasfilm and Disney announced today that the complete first season of the animated series Lego Star Wars: The Freemaker Adventures will be hitting DVD on December 6th, 2016. The series, which aired on Disney XD over the summer, takes place between The Empire Strikes Back and Return of the Jedi and follows the Freemakers, a family of scavengers, as they seek out the Kyber Saber. The series stars Nicolas Cantu (Hey Arnold: The Jungle Movie) as Rowan; Vanessa Lengies (Second Chance) as Kordi; Eugene Byrd (Bones) as Zander; Grey Griffin (Miles from Tomorrowland) as Naare and Star Wars legend Matthew Wood (Revenge of the Sith, The Clone Wars, Star Wars Rebels) as RO-GR. The Freemaker Adventures: Meet the Freemaker Family – Get to know the members of your favorite family of celestial scavengers – and meet the actors who bring them to life – in this fun collection of clips, behind-the-scenes footage and cast interviews! 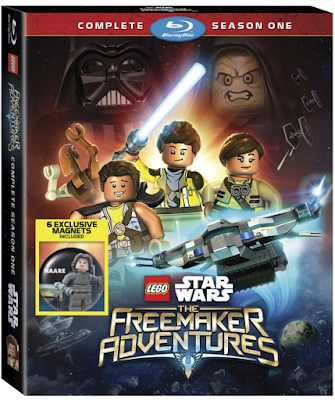 The Season One DVD will also include six exclusive Lego Star Wars magnets!